since i’m feeling really poopy today and i’m kinda scared, sentimental whatever about my last semester of school i decided to show you what i carry around my with me on a schoolday. I’m using the brown medium le pliage by longchamp paris with short straps. the one you carry on your arm and not on your shoulder and it is a slightly expensive bag but it was the first highstreet fashion item i got on my own when i was around 15 and i safed up ages for that bag. the quality is just amazing and it is a classy bag with lots of room inside. and honestly, i own two of them. oh yes, i use a real organizer or calender or how ever you want to call it. 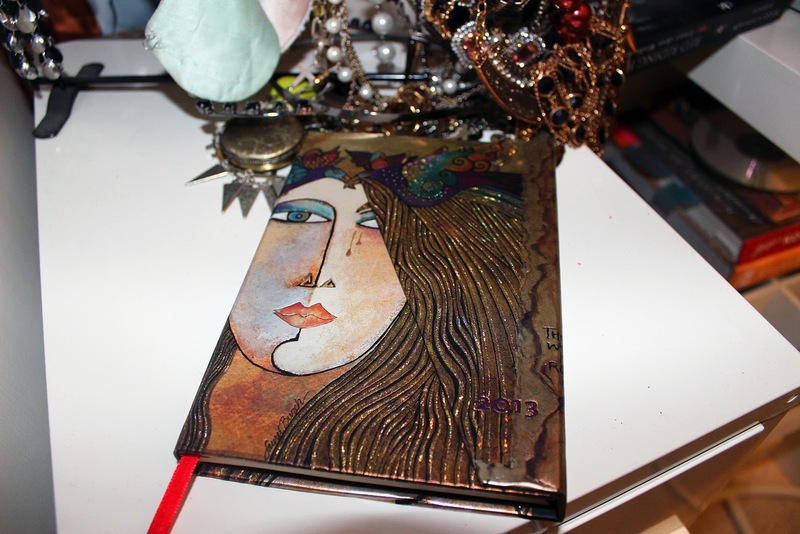 the paperblanks ones are the most amazing organizers to get. they look so pretty and i just love them and i need to keep organized around the whole semster. i will forget what to do over the week, if i’m not noting it down. thats why my paperblanks is my lifesafer. 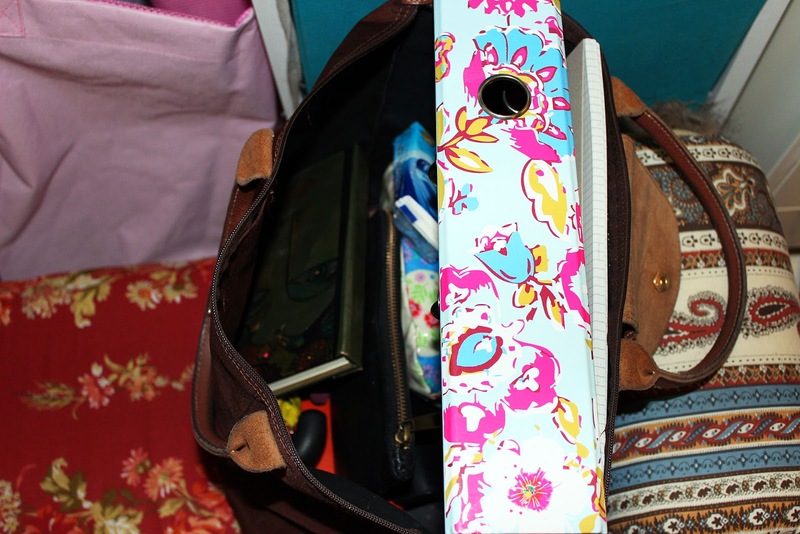 all my pencils and stuff needs to be in one case where i can find them and the colorful flower print looks way to adorable to not like it. i got it 2011 when i spent my summer in the netherlands and hema was such a wonderful place to get homestuff or schoolthings and i could not resist getting it. and it last me since then and i will write my final exams with the stuff inside. the current climate forces me to carry an umbrella with me all the time cause it either rains or snows and i’m not a big fan of getting wet or putting my jackets hood on. 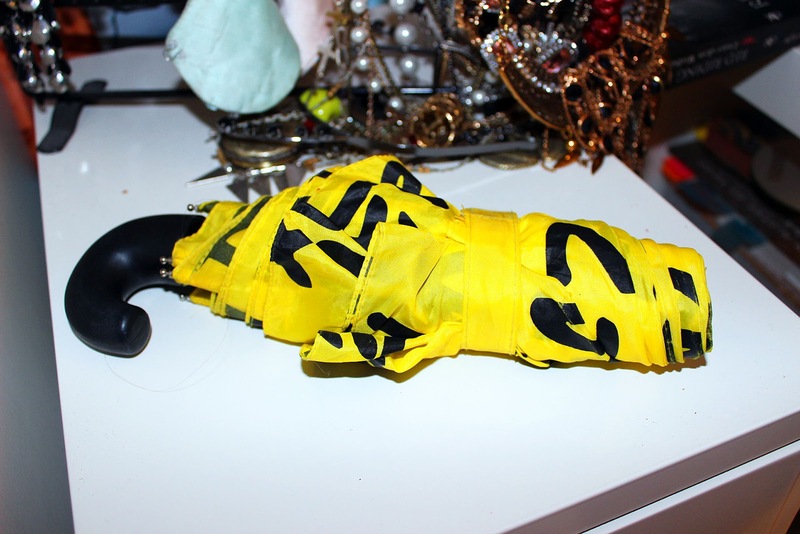 this umbrella is by forever 21 which is quite obvious since its written all over it and i’m a crazy forever 21 freak but you can’t buy this umbrella in any of the forever 21 shops. my big american hostsister caitlin works in fashion industry in new york and she got it at an forever 21 opening event and because she is a really lovely person and knows about my forever 21 obsession she gave it to me. 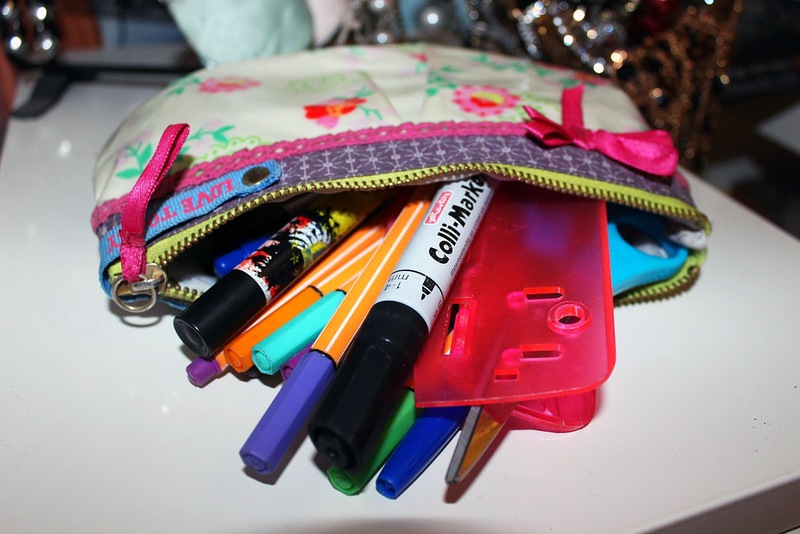 i think it is no surprise to carry a wallet and a phone around in a schoolbag. 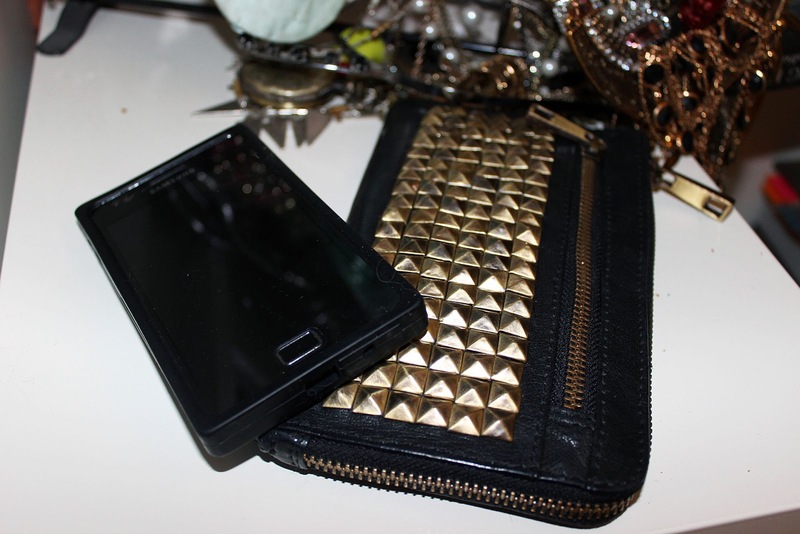 got that wallet at topshop in soho and love it. its real leather and was around 40$ but i’m not quite sure. love my phone eventhough its getting kind of crappy cause i have it for a long time now. i have to wear glasses in school and when i’m driving and i got the ray ban ones because i feel like nerd glasses are the only glasses that look okay on me and whenever i don’t like these anymore i turn them into sunglasses. a friend of mine spent his chirstmas at his fathers who lives around norwich in england and he got me some wonka nerds which i love. 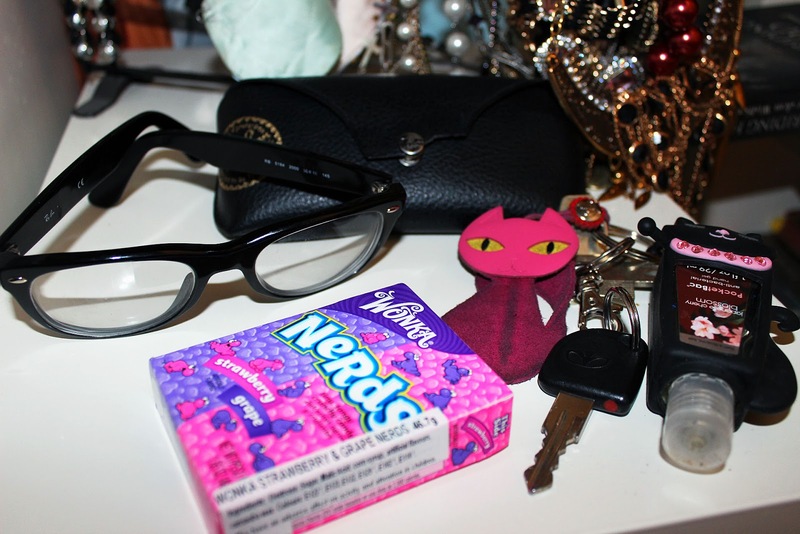 they will take place in my schoolbag as a little treat. and my keychain showing the catfreak that i am. the pink leather cat is from italy and the other cat holds my bath and bodyworks hand sanitizer in japanese cherry blossom. 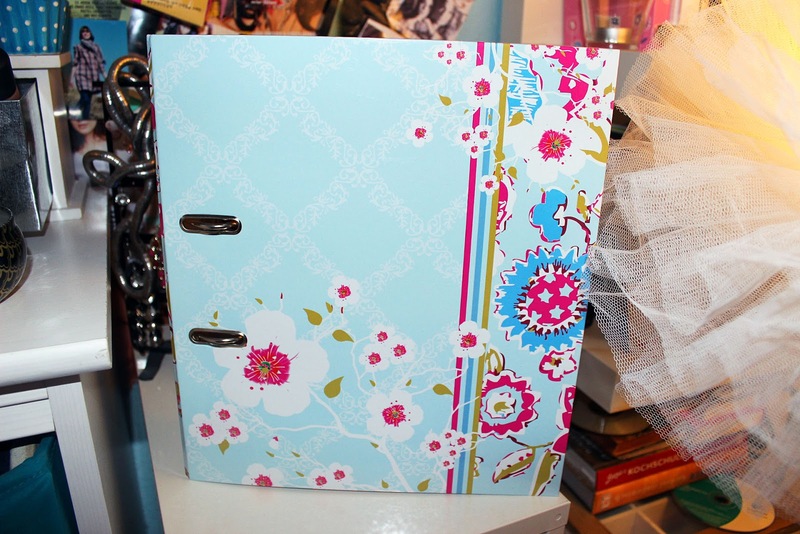 this binder holds all my stuff for one semster and usually gets filled up with worksheets or notes or whatever. i seperate it for all the classes i take to be organized all the time and it gets pretty heavy over the semester but i rather carry everything with me than forgetting something at home. by now i have three of those binders filled with stuff to learn for my finals. 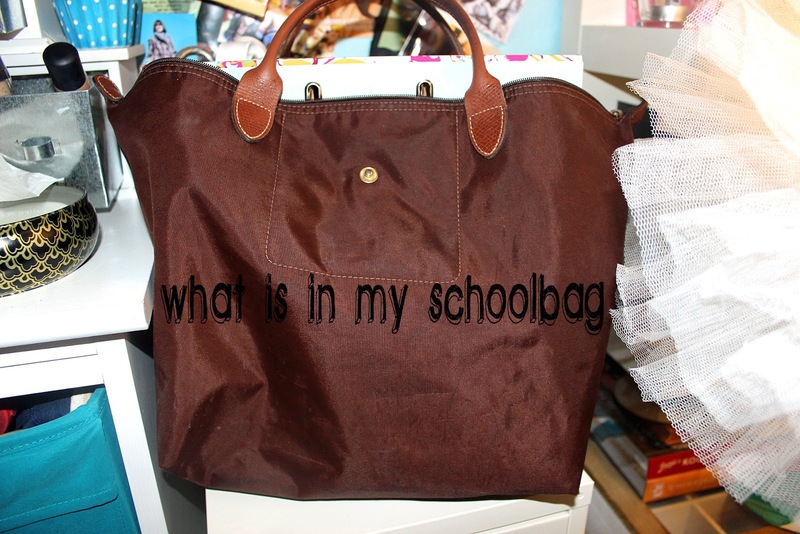 i hope you liked it and i would love to see what you carry around in your schoolbag or if you’re not going to school anymore whats in your handbag. plus i worked the first time with my brandnew photoshop elements 11 to edit the pictures. tell me if you like it. so i hope you don’t feel as poorly as me and i hope you have a great weekend.